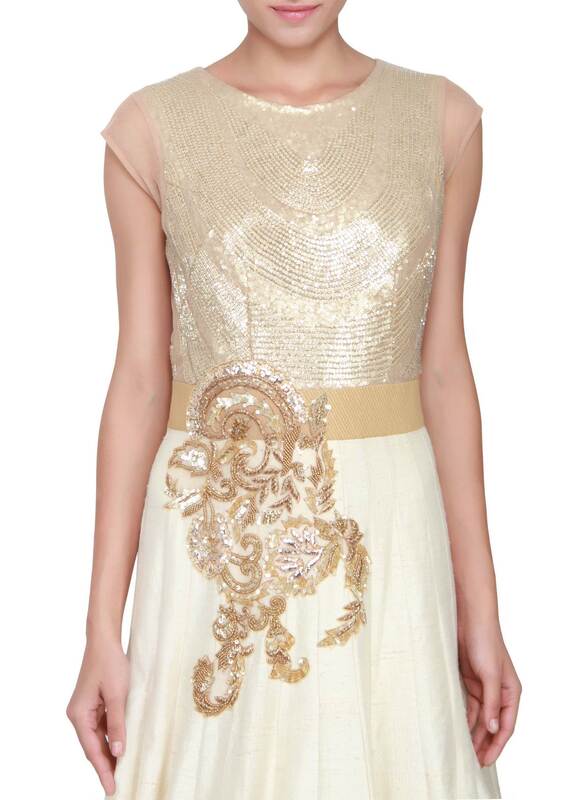 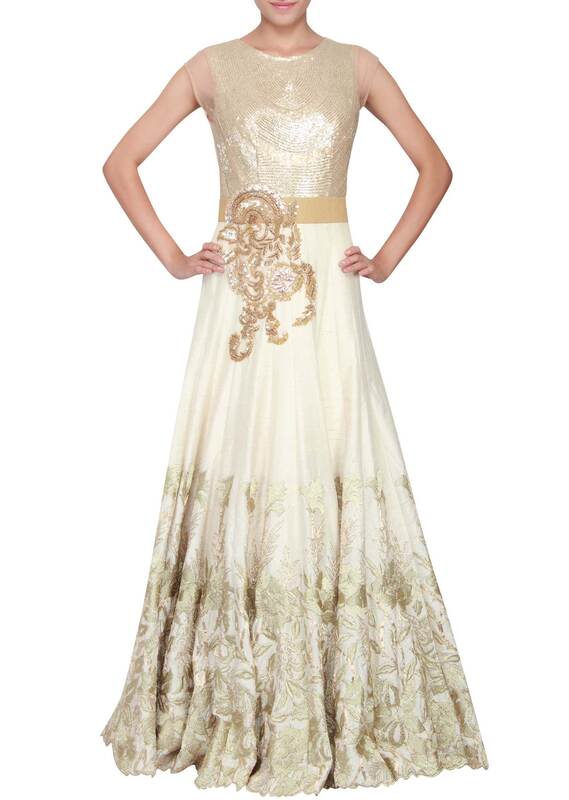 Featuring a gown with beige net bodice embellished in sequin and kardana. Neckline is round and is sleeveless. Patch embroidery on the waist. 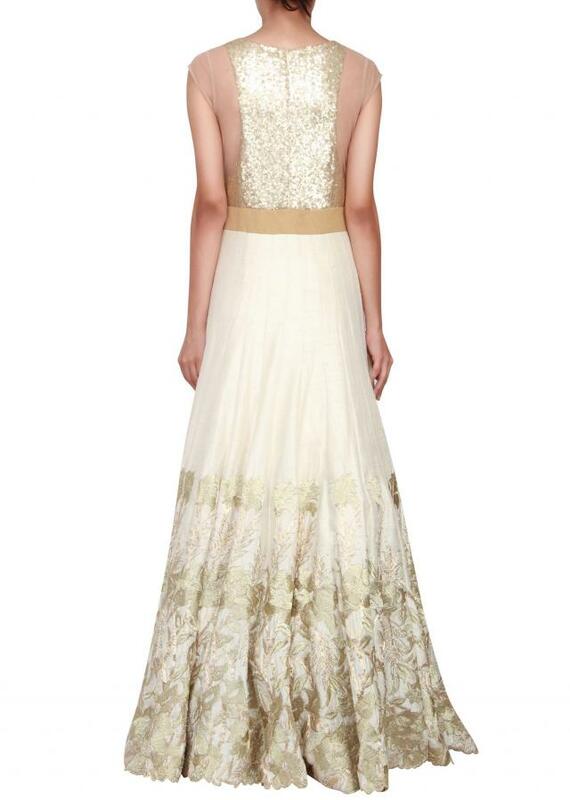 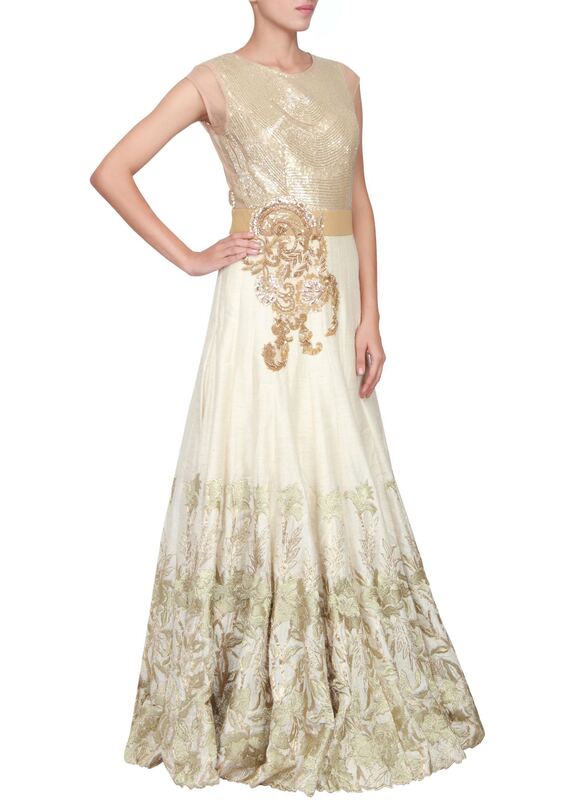 The lower part is in cream raw silk embellished in zari embroidery.